HRS is a Service And Sales oriented company in Refrigeration,Restaurant Equipment Repair, HVAC, restaurant cooking,equipment. 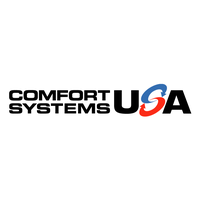 As part of the Comfort Systems USA group, we offer National Service on the local level wwwcomfortsystemsusa.com. We provide support for all aspects of commercial building maintenance. Our company was founded in Huntsville Al, with local techs in Birmingham, Tuscaloosa, Gadsden, Cullman, Montgomery, and Decatur Al. New account Sales contact Jerry Cooper 256-508-1240.